Canning Jar Selector - What Jar Should I Use? 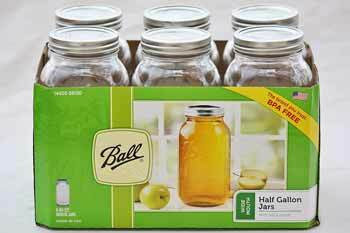 Why is the half gallon jar only approved for canning juices? 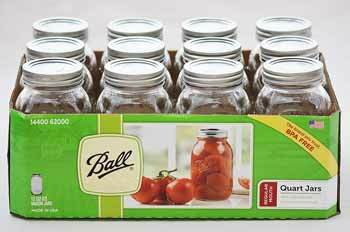 What is Cold Pack Canning? 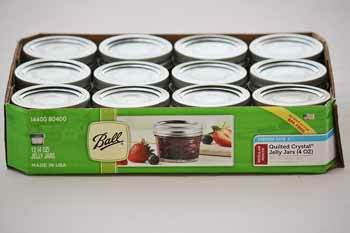 What is Hot Pack Canning? Pressure Cooker Outlet provides canning jars in all shapes and sizes! 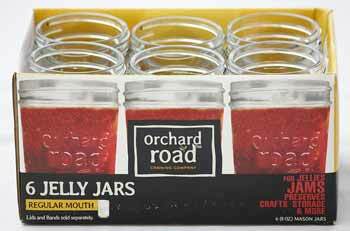 Wide mouth jars make easy access for packing and cleaning. 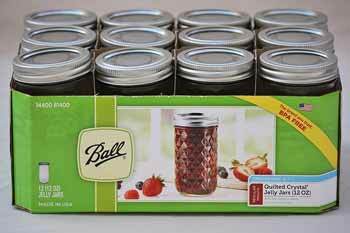 Mini jelly jars are perfect for jams, while gallon jars store large garden harvests. Decorate your pantry with plain jars, textured jars, and colored glass jars. We provide all the preservation supplies you need at an affordable price. Thank you for shopping at Pressure Cooker Outlet! 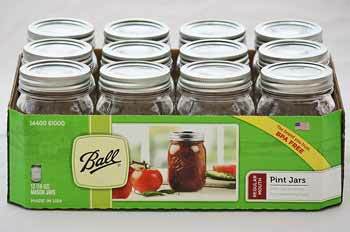 Select home canning jars that have no visible scratches, nicks, chips, or uneven rims. 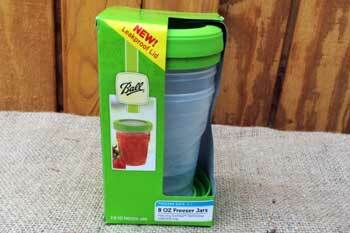 Examine lids to assure they are not scratched, have even and complete compound, and have not been used. 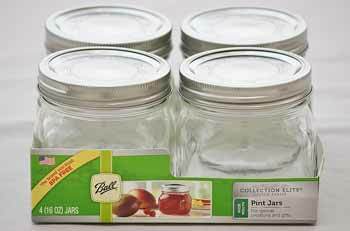 Bands should be easy to slide on the jar, without any signs of warping or corrosion. Rinse well. Dry bands; set aside. 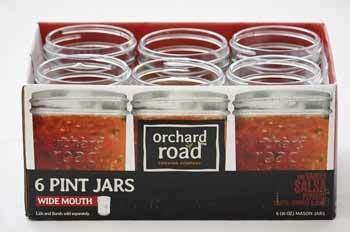 Jars must be kept warm until ready to use, this is done to reduce the risk of cracking the jar when it is filled with hot preserves. You can heat them in a pot of simmering water(about 180°F), in your dishwasher, or in the low heated oven. They should remain at this temperature until they are used, removing one at a time as needed. DO NOT boil lids. 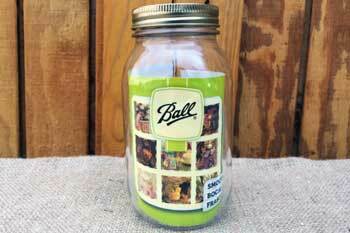 If jars are used for any recipe that is processed less than 10 minutes, the jar must be sterilized. To sterilize jars, submerge jars in water and boil 10 minutes. To can tomatoes, salsa, pickles, jams, jellies. fruits and other high-acid foods. To can green beans, carrots, beets, meats, fish, or other low acid foods. Fill pot with enough water to cover jars with at least one inch of water and heat to simmer (180 degrees F). Fill each hot jar with prepared food. 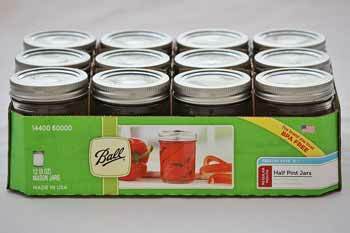 Follow canning recipe for correct fill-level. 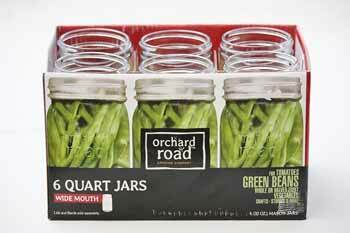 Each jar needs space between the food and the rim (head space) to allow for food expansion. Filling jars with not enough head space can cause the jars not to seal. Air bubbles inside the jar can cause ineffective cooking. Remove air bubbles by sliding a non-metal spatula inside the jar, gently pressing food against the side of the jar. We carry bubble remover spatulas individually, or with the purchase of a canning kit. Wipe any food from the rim. 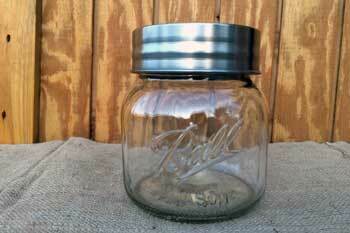 Center new lid on the jar, then twist on band until "fingertip tight." 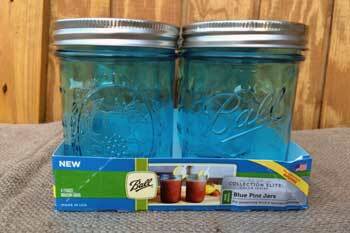 Make sure bands are not over tight - air inside the jar must be able to escape during canning. 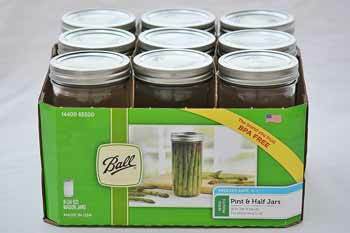 Place filled jars onto canning rack of water-bath or pressure canner. Place filled jars on rack, then lower into simmering water, making sure they are covered by 1 inch of water. Cover with lid, and heat to a steady boil. Boil jars for the time specified in the recipe, adjusted for altitude (see chart). Turn off heat and let jars stand in water for 5 minutes. 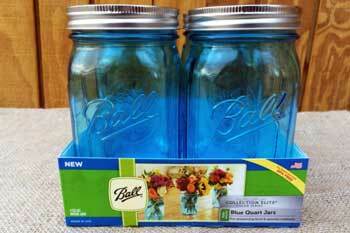 Remove jars from water and cool jars upright on wire rack or towel on countertop for 12 hours. Place filled jars onto rack. Canner should contain 2 to 3 inches of simmering water. Lock canner lid into place. Turn heat to medium-high and open vent. Bring to boil and vent a steady stream of steam for 10 minutes. Put weight on vent and adjust heat to achieve 10 pounds of pressure, adjusting for altitude (see chart). Process time listed in recipe, keeping pressure steady. Follow manufacturer’s guidelines for cooling and removing pressure canner lid. Remove from water and cool jars upright towel on countertop for 12 hours. 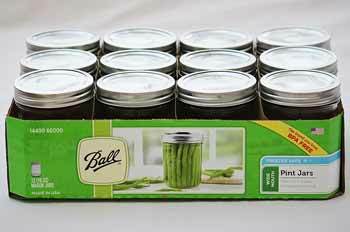 Tip: After removing jars from the canner, do not re-tighten bands that may have come loose during canning, so as to not interfere with the sealing process within the first 12 hours. Using just your fingers, screw bands down evenly and firmly just until a point of resistance is met – fingertip tight. Do not over tighten bands by using the full strength of your hand or a utensil to screw the band down. 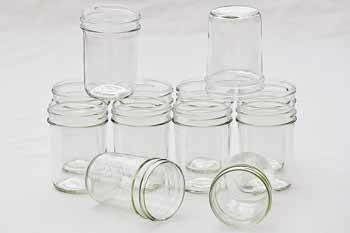 Over tightening bands can prevent air from venting out of the jars, resulting in buckled lids or seal failure. After processing, bands may appear to have loosened. This is normal. Do not re-tighten bands after processing since this may break the seal that is forming. Press on center of cooled lid. 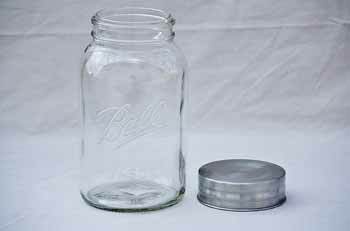 If jar is fully sealed, the lid will NOT flex up or down. If the lid flexes, the jar did not seal properly. You may refrigerate for immediate use. 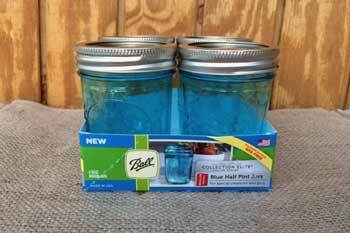 See the Ball Blue Book guide to preserving for directions how to safely re-process the jar. Store sealed jars in pantry for up to one year. 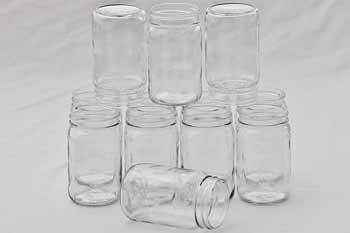 Jars may be stored without bands, or you may clean underside of bands so no moisture is trapped during storage. Enjoy your homemade food or give as gifts. 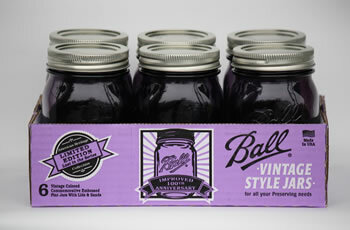 A canning rack elevates the jars off the bottom of the canner so steam can circulate around the entire jar. 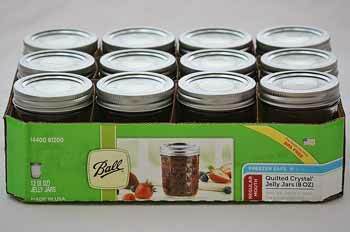 If you stack jars for processing, stack so jars are not on top of each other, but instead the top row of jars should be placed on top of two lids of the bottom row. 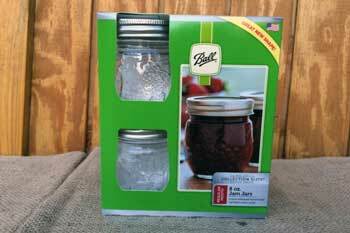 You may also purchase an additional canning rack to place between rows of jars or or if you have extra metal bands (without the lids) you can place one between the jars to keep them separate. Measure the inside of your canner and you can purchase the rack you need here. Racks should be a diameter that is less than the inside diameter of your cooker / canner. After filling your car with the food that you will be processing, be sure that there is a bit of head space (typically about = inch) that is left at the top of the jar. This is important because, as the jar is heated, the expansion will drive out the air in the head space and prevent any additional air from entering the jar. When the jar is removed from the canner and begins to cool, the food inside and the air will contract again. The air that was in the head space escapes the jar to create a vacuum strong enough to pull down the lid and seal the jar. When you hear the pop, the jar has been sealed. First, be sure to examine the rubber seals carefully for any tears or cracks. A safe seal can only be achieved with a perfect rubber gasket. Do not attempt to reuse them. Always use a new rubber seal. Submerge the rings in boiling water for 2-3 minutes. Leave them in the water until you are ready to use them. After filling the jars, carefully wipe the rim of the jar. Fit the rubber seal to the rim of the jar. For one piece lids, heating the lids in hot water will help to soften the seal and make for a more uniform seal on the jar. A suggestion list of what foods to preserve in canning jars. The bottom line? There are no rules for what jar you can can in. Experiment with small jar sizes for gifts or use large quart jars for big batches giving you winter food security. 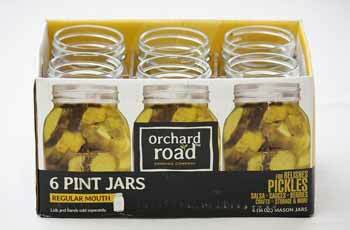 Some prefer wide mouth jars for easier jar packing while others like the traditional look of a regular mouth jar. We have paired canning jar sizes with some of our favorite preserves to inspire your creativity. Pureed pumpkin or Squash - The puree is too dense for all the botulism spores to be eliminated. There is also insufficient data to properly establish a safe processing time for these purees. Pasta - Because pasta is made from flour, the processing time in the canner will break the noodles down and leave them as mush in the jar. Bananas - Due to the thick consistency of the fruit, the heat during the canning process wont destroy enough of the bacteria, as it is unable to penetrate through the entire fruit. Broccoli - The heat and amount of processing time will turn the broccoli to mush. Broccoli, however, would be great for pickling! Organ Meats (liver, kidneys, etc) - Organ meats will not heat through thoroughly enough to eliminate the naturally occurring bacteria in these types of meat. Butter and Dairy - Products with butter and dairy cant be canned because the heat during processing will cause spoilage of the product. 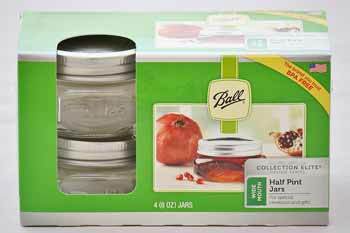 The only processes that have been tested for the half gallon jar are highly acidic fruit juices, such as apple and grape. No other food items have been tested by the USDA for the half gallon size jar and for safety reasons, only juices that have a very high acid content are recommended for this size jar. Are you able to can other items in this size jar? Sure, but it is not recommended. 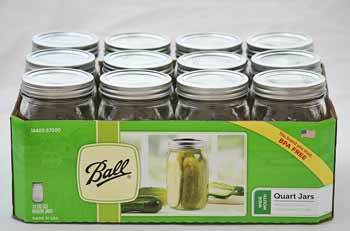 Also called raw/fresh pack canning, cold pack canning is the process of tightly filling jars with freshly prepared, but unheated foods. These foods, fruit in particular, will float in the jars. 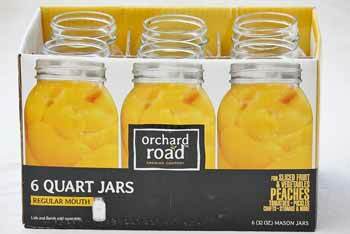 Air trapped in the jars can cause food discoloration and has the potential to cause the food to spoil. As a result, storage time of raw/fresh pack canned foods should be limited to about 3 months. Hot pack canning consists of heating freshly prepared food to boiling and then simmering the food for 5 minutes. The boiled food is then packed into cans. 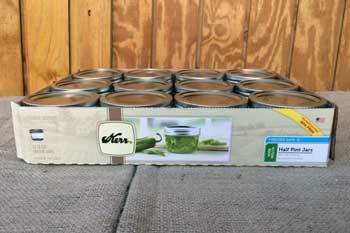 The shelf life of hot pack canned items is longer than raw/fresh packed foods. Hot pack canned foods usually have a shelf life of about 1 year.